Soda blasting is ideal to clean off mould/graffiti/paint/baked on grease/smoke damage/odours/soot & smoke/antifoul paint and a lot more. 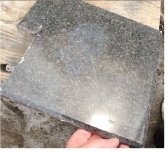 aluminium/ceramic/galvanise/carbon fibre/swimming pools with no damage to substrate including glass, rubber, bearings etc. 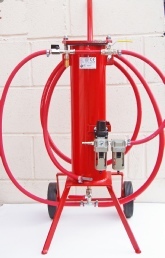 With the CLASSIC C1S you can do all your soda blasting and it can easily be reconverted to standard sandblasting. ACE Engineering Products, The Forge, Ousden, NEWMARKET, CB8 8TR U.K.